Mr. Williams joined Diversified in July 2017 from Callon Petroleum. During Eric’s more than seven-year tenure with Callon, the company grew significantly from a market capitalization of US $40 million to over US $3.5 billion, successfully transforming itself from a deep-water asset focused company to an onshore, pure-play horizontal drilling operator in the Permian Basin. Eric was instrumental in developing and enhancing the company’s external reporting streams and established a formal investor relations function serving more than 30 sell-side analysts and a growing base of institutional investors. He began his career at the widely renowned public auditing firm of Price Waterhouse Coopers in Birmingham, Alabama. Eric has served in various roles including internal audit with a focus on Sarbanes Oxley implementation and compliance, controllership and financial reporting for several US publicly-traded companies. Eric has a B.S. degree in Accounting from Samford University, a M.S. degree in Accounting from the University of Alabama and he is a licensed CPA (Alabama). Mr. Myers joined Diversified in August 2018 with over 25+ years of combined experience in operational consulting, retail and financial services. Prior to Diversified, David was the President of Henderson & Myers, LLC, a management and process consulting service firm with clients ranging from Fortune 500 companies to million-dollar privately-held firms. He has held multiple upper-management roles within several previously listed companies such as SouthTrust Bank and Saks Incorporated. David graduated from the University of Alabama with a Bachelor of Science degree in Economics. He has a proven record of developing and implementing business and operational processes that are supported by the proper technology to improve the overall efficiency and scalability of each company, all while delivering bottom-line results. Mr. Berry joined Diversified in November 2017 from Arlington Capital Advisors. He has over 20 years of experience in corporate finance, investment banking and public accounting. Prior to Arlington, Bryan was Vice President of Financial Planning and Analysis at Colonial Properties Trust, a Real Estate Investment Trust with over $4 billion in assets. During his tenure, Colonial acquired, developed or disposed of over $1.5 billion in assets. Additionally, Bryan was Director of Financial Planning at Saks Incorporated, a Fortune 500 retail company, and began his career in public accounting at Deloitte. Bryan graduated from the University of Alabama with a Bachelor of Science in Accounting and a Masters of Accountancy. His focus at DGO is on the analysis of the Company's future transaction opportunities and financial planning and analysis of the Company's ongoing operations. Mr. Garrett joined Diversified in March of 2018 from Callon Petroleum, an independent energy company in the Permian Basin. Prior to his tenure at Callon, Michael has served in various roles in Accounting for several US publicly-traded companies. Michael earned a Bachelors of Science in Accounting from Lambuth University and holds his CPA license. His oversight and direction of all accounting operations and financial reporting for DGO remains imperative to the corporate strategy of the company and the integration of new acquisitions. Mr. Smith joined Diversified in July of 2018 to lead our overall people strategies. Bill has over 25+ years of experience in Human Resources with largely-known companies such as Direct General Insurance, AIG, Rock-Tenn, and Simmons Company. His leadership expertise has encompassed an individual company workforce capacity as high as 3,000 employees. He graduated from the University of Alabama in Communication and holds certifications as a SHRM-Senior Certified Professional (SHRM-SCP) and a Senior Professional in Human Resources (SPHR©). As Vice President of Human Resources for DGO, Bill remains focused on driving human capital strategy in support of our overall business plan and strategic direction. Mr. Trimm joined Diversified in September 2018 from Energen Corporation where he spent ten years of service. At Energen, Jay was responsible for their Treasury Department and the execution of Energen’s capital strategy. Jay managed their revolving line of credit and oversaw in the issuance of equity and debt. Additionally, Jay was responsible for the management and execution of Energen’s derivative trading program and insurance portfolio. Prior to Energen, Jay worked with Vulcan Materials Company in their accounting and financial analysis groups. Jay has a B.S. in Commerce and Business Administration from the University of Alabama and a M.S. degree in Accounting from the University of Alabama at Birmingham. Jay is a Certified Risk Manager. Mr. Bentley joined Diversified in July of 2018 through its acquisition of EQT. He has 35 years in oil and gas operations, in both upstream and midstream. He is highly experienced in midstream operations, compression and well productivity. He is also an executive board member of the Kentucky Oil and Gas Association. Bobby Cayton has more than 35 years of experience in oil and gas exploration and production operations. He started his career with Alamco in 1984 as a well tender and worked his way up to Superintendent in 1998. Mr Cayton has broad experience of the oil & gas industry from running swab-rigs, well tending, disposal well operations, sales, consulting, drilling and overseeing production in several states on the East coast. Prior to the Acquisition, he was Vice President of Appalachian Operations for Titan where he oversaw production operations and processing of 8,400 wells across the Appalachian Region. In addition, he is a member of the Society of Petroleum Engineers and several east-coast oil and gas associations. Jack Crook is a licensed geologist with 36 years of oil and gas experience in environmental, health, safety and regulatory compliance. Mr. Crook started his career with the Pennsylvania Department of Environmental Protection and gained extensive knowledge within this field by taking on roles in the Department’s hydrology, water supply and oil and gas divisions. 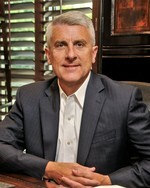 In 2012, Mr. Crook joined Titan as Vice President of Environmental, Health, Safety, Regulatory, and Security compliance. At Titan he oversaw safety policies, procedures and training and served on the Executive Committee. Mr. Crook is an Executive Board Member and Secretary of the Board of Pennsylvania Independent Oil & Gas Association. Mr. Kurtz joined the Company in 2017, bringing extensive experience that spans a 35-year career in the Appalachian oil & gas Industry. His experience includes land operations, mergers & acquisitions, divestitures, and joint ventures for multiple organizations. Immediately prior to joining the Company, Mr. Kurtz was employed with Atlas Energy, Inc. for 21 years where he held diverse positions that included Director of Business Development, Director of Production, and Senior Manager of Project Development. Mr. Kurtz is an active member of American Association of Professional Landmen, Society of Petroleum Engineers, and the Ohio Oil & Gas association where he serves on the Producers Committee. Ms. Silvis, joins from Alliance Petroleum where she has worked since 1988, will be responsible for managing many daily operations and streamlining all District and Corporate activities to align with the Company's strategic plan. Ms. Silvis will also manage the Company's IT function and oversee Alliances finance activities. Before joining Alliance, Ms. Silvis served as District Controller for Browning Ferris Industries and as an Accountant for LTV Steel. She is a member of the Ohio Oil & Gas Association, Pennsylvania Independent Oil & Gas Association and the West Virginia Independent Oil & Gas Association.